The place of work is becoming business casual for men, but that literally does not mean that they look like a drone bound by a cubicle at the office. Mostly blaming the ever cool casual havaianas flip flops by Adidas, and Mark Zuckerberg for this. It is about time men knew what business casual dressing for the office really is. It is not every business-ish, neither very casual at the same time. Without any concrete perimeters, the business casual for men comprises of a comfortable yet ambiguously refined dress code for the office. Unfortunately everyone has come across the horrible baggy jeans, ill-fitted shirts and blazers that are indistinguishable, making men trip off the ladder of office wear. Well, if you are not aware about what you should be focusing on when it comes to business casual for men, it is not too late. Keep reading further to find out everything about business casual pieces! So what is a business casual for men? What dress code should be implemented and what are the dos and don’ts of this attire? The first and most important thing that you should know is that it is not a look that is casual. The look is meant to be for business purposes only. While enjoying an attire that is more towards the business casual men, the main idea behind this is portraying an image that is casual without the eradication of professionalism. It is a must that you look groomed and neat, without the elimination of a relaxed look at the same time. But, it should not be very relaxed. The main purpose of a business casual for men is to dress down a formal business outfit. There’s no way in hell that you are allowed to wear the same clothes that you wore to your friend’s barbecue part! Before breaking it to you, go through some of the key pieces of business casual outfits every man should own. Take a look at the current trending magazines and look books, that would inspire you. Being the key to success for any guy at work, business casual does not require you to wear a full suit. So why not invest in some separates? Perhaps a blazer in a shade of navy or maybe trousers in a shade of grey, or maybe stripes to show of the playfulness of summer in a business casual for men. Moreover, if you are a stern man who prefers sobriety, invest in a brown, tan or beige colored cotton or linen suit and wear it as a separate or together. It is very important to nail the tones and fit during the summers. Having a bit of fun with what you are wearing is totally legit. Keeping that in mind, pastel colors are prefect, from pink and blues to lilac and yellow. They are the biggest trend for men these days. Pairing them up with a textured tie in an neutral shade and jacket would enhance the chicness of the outfit. Or you could totally go against it, in a totally different direction by wearing a patterned shirt. Plaid are all over the fashion runways in light weight material, adding the perfect punch to every man’s business casual wardrobe. Just keep one thing in mind, that if the pattern is bold, anchor it with a tie that has a neutral shade. Make sure that the new pair of shoes that you are planning on buying is suede. Make it work, and always remember that the more they are worn, the better they will look. The other pair of shoe needed by you is a penny loafer! Check shoes Singapore too, a good alternative. Talking about the details, keep it seasonal and simple. Ties in linen and cotton with neutral shades and bold patterns are perfect. Switch your leather watch with a canvas one, and your work bad as well. During September, all you would require are three pairs of jackets for the office. The first would be in a shade of navy, which literally goes with everything you could think of and make you look smart. The second is a blazer in the shade of grey, which is perfect for the cold, breezy winter mornings. 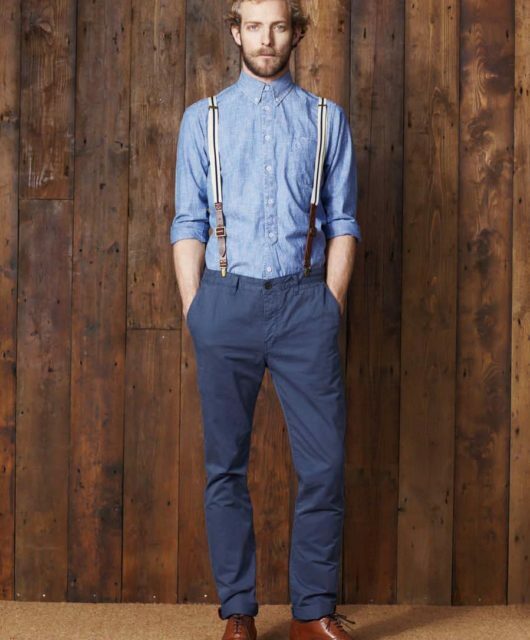 Incorporate it with other layers of texture, such as cashmere jumpers, chambray shirts, and woolen cardigans. Lastly, a beige blazer in cotton will pull of a great business casual men, along with the element of warmth. But, make sure that the fit of these blazers is perfect otherwise they would look like a total fashion disaster! 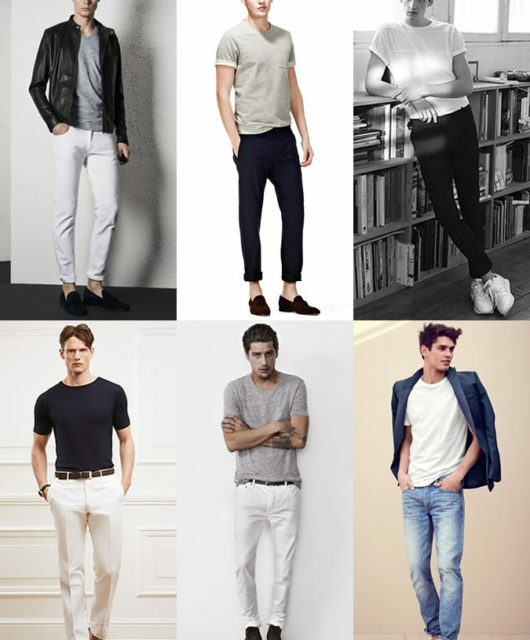 Neutral shade chinos are a must for a business casual wardrobe for men. 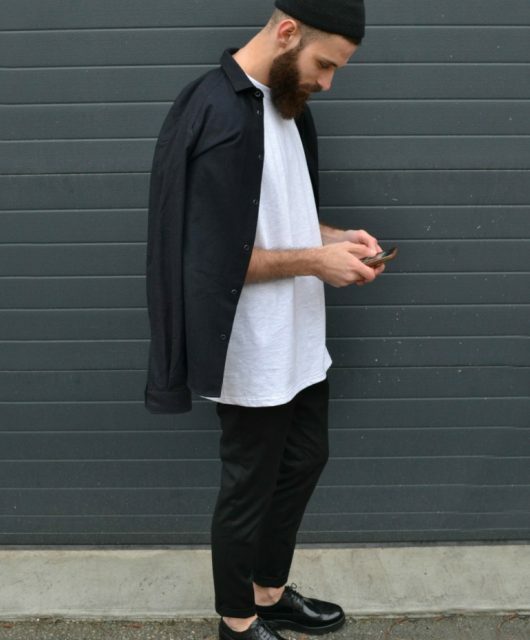 Add a pair of flannel, charcoal trousers as well. They might not be the most valuable but they look great during the colder months, adding the ever needed character and texture to you attire at work. Knits are ideal when it comes to creating a layered appearance during the winters. Go with materials that are breathable such as cotton and merino will, which ensure the comfort and are sweat free during autumn when the temperature starts dropping. Jumpers that have a V-neck and fine gauge cardigans look great when used to layer oxford shirts, while rolled neck shirts look very appealing under a blazer. Look for styles in neutral colors making way to your business casual arsenal!